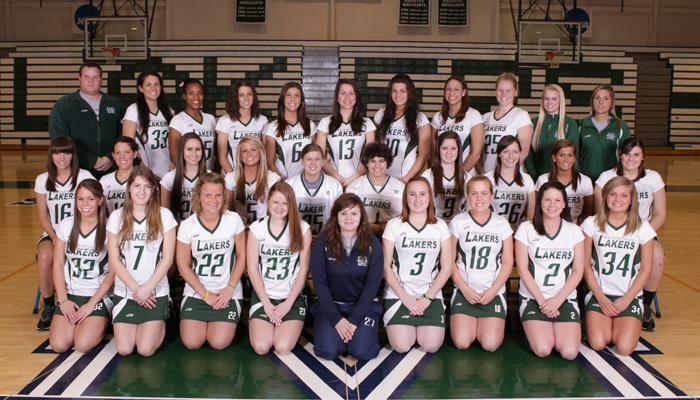 Despite a minor setback in its first game against Limestone College (9-12), the Mercyhurst College women's lacrosse team has rattled off five straight wins and are 5-1 overall (2-0). And at this rate, the team is looking ahead to finishing the rest of its regular season schedule strong. Wins have come against Tiffin (22-6), Queens (15-12), St. Andrews (23-9), Edinboro (11-7), and Slippery Rock (16-5). Scoring twenty seconds into the first half, the Lakers jumped out to an early 1-0 lead. However, the Saints quickly countered, rattling off six unanswered goals to go into halftime. "The thing we struggled with in the first half was really the offense trying to gets its feet moving," head coach Cecil Pilson said. "The offense really wasn't working too well together." "After our halftime chat, things actually turned around," he said. "We ended up beating Limestone in the second half; we just had such a big deficient in the first half we didn't make up for it." Senior midfielder and captain Kimberly Masterton lead all scorers with three goals and two assists. Junior attacker Ally Keirn (two goals, one assist), freshman Anna LeGrett (two goals), junior Kelly Palmer (one goal), and sophomore Kayla Minner (one goal) rounded out the Lakers' offense. Senior defender and team captain Maggie Yackel knew the team couldn't focus on the loss but rather had to look ahead to the next game and improve. "We accepted the loss and knew not to dwell on it," Yackel said. "Losing is not a good feeling, and as bad as it does feel, you can learn so much from it. I believe that we have. We knew what mistakes we had made during the matchup and worked on those specifics throughout the practices to follow." In its matchup against up-and-coming Tiffin, it seemed as though the team did just that and put aside its season-opener jitters to defeat the Dragons 22-6 at home on Tullio Field. Playing the No. 2 ranked team in Division II has made the Lakers aware of its strengths and weaknesses at an early stage of the game and, at the same time, has acted as a barometer to where they are from a playing standpoint. "It's good to start off the season with a tough team," Pilson said. "It lets the team really know where they are and what they need to work on for the rest of the season." Pilson noted that a drawback for his team early on has been trying to put together a full game, from start to finish. "A weakness that we really need to work on is playing the full 60 minutes of the game," Yackel said. "We have only been able to put together one full half so far this season." Positives for this Lakers team, however, outweigh the negatives. "We know to focus on the little things which I believe is strength," Yackel said. "If you only look at the large picture and bypass the small pieces than success will be harder to obtain. Our coaching staff is definitely a strength. We have two new assistant coaches and coach Pilson who have gotten us all on the same page and brought us together." 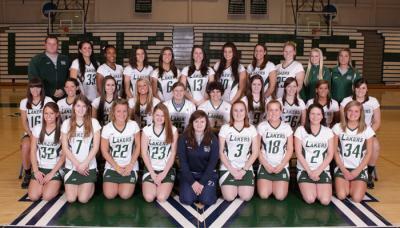 Both Katie Ilott and Lindsey McDonald enter their first season as Mercyhurst lacrosse assistants. Ilot hails from Limestone College where she was a member of the Saints lacrosse team for four years. Ilot was named to the all-conference first team three times, an all-region honoree and a first-team All-American. McDonald played four years at McDaniel College where she was a dual student-athlete in lacrosse and field hockey. She served as the head club coach and local development officer for English Lacrosse in the United Kingdom. The Lakers put the five-game winning streak on the line against Seton Hill Monday, March 21.